The festive season may currently be underway but we’re a few steps ahead. By that, we mean we’re already planning our wardrobe for the season to come. 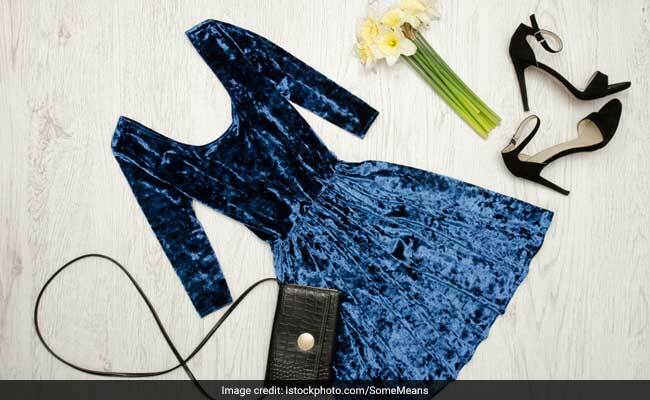 A trend that’s sure to make its presence felt is that of velvet dresses. With their luxe look and sophisticated style, you’ll be seeing velvet dresses all over your feed this autumn and winter. Before it’s absolutely everywhere, be an early adopter and get on the velvet dress trend with these 4 picks. Make a statement with the Boldgal Mini Velvet Bodycon Dress. In striking navy blue with a snug fit and cutwork detail at the neck, you can’t go wrong with it. It is available for Rs 1299 from Rs 2799. Go the midi route with the Velvet Wrap Dress from The Silhouette Store. The unique sleeveless number combines shimmering silver and rich black for a modest yet magnificent look. It is available for Rs 1020. The Globus Dress is a must-have for the upcoming party season. Everything from the boat neck and high hem to the long sleeves and stunning colour make this an outfit you can pull together with ease. It is available for Rs 509 from Rs 1699. If it’s a lighter shade you’d like to try, the Vero Moda Beige Dress is the one for you. In unconventional taupe tones with a pleated body, it’ll have you ready in minutes. It is available for Rs 1349 from Rs 2999. Add these to your cart right away before they run out!